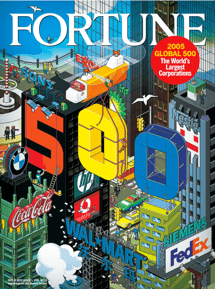 Each year, Fortune Magazine publishes a list of the 500 largest American companies by revenue, among U.S. publicly listed companies and private companies with publicly available financial data. Many of these companies were founded by first- or second-generation immigrants. 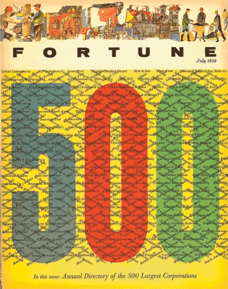 Each year since 1955, Fortune Magazine has published a list of the 500 largest American companies by revenue, among U.S. publicly listed companies and private companies with publicly available financial data. In 2011, New American Economy (NAE) – a non-partisan policy organization of 500 Republican, Democratic, and Independent mayors and business leaders – analyzed the national origin of the 2010 Fortune 500 company founders, finding that more than 40 percent had at least one founder who was an immigrant or the child an immigrant. Given the on-going national debate regarding immigration policy – and the well-established importance of immigrants to entrepreneurship in the United States – the Center for American Entrepreneurship (CAE) has analyzed the Fortune 500 data for 2017. We found that 43 percent of these companies were founded or co-founded by an immigrant or the child of an immigrant. We also found that the occurrence of first- or second-generation immigrant founders is significantly higher among the largest Fortune 500 companies – accounting for 52 percent of the top 25 firms and 57 percent of the top 35 firms. Immigrant-founded Fortune 500 firms are headquartered in 33 of the 50 states, employ 12.8 million people worldwide, and accounted for $5.3 trillion in global revenue in 2016. The results are striking and should be carefully considered by policymakers as they continue to deliberate the fate of 800,000 so-called DREAMers – undocumented immigrants brought to the United States illegally as children – and U.S. immigration policy more generally. In particular, the analysis provides compelling support for the creation of an entrepreneur visa, an important aspect of the Startup Act, bipartisan legislation reintroduced by Senators Jerry Moran (R-KS) and Mark Warner (D-VA) on September 28th. The findings of CAE’s analysis – along with a vast research literature – demonstrate the remarkable and persistent importance of immigrants to the creation and growth of America’s largest, most successful, and most valuable companies. 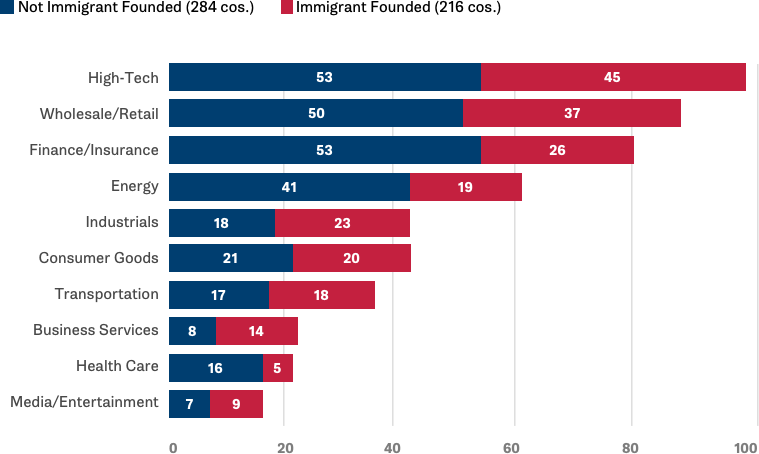 18.4 percent of current Fortune 500 companies were founded by at least one immigrant, while an additional 24.8 percent were founded by the child of an immigrant. Combined, 43.2 percent of 2017 Fortune 500 companies were founded by a first- or second-generation immigrant. 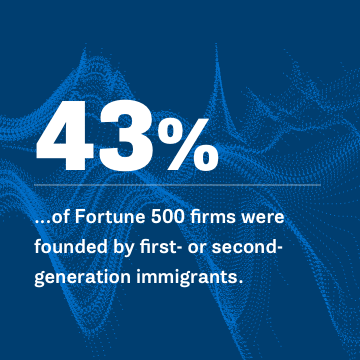 The occurrence of first- or second-generation immigrant founders is significantly higher among the largest Fortune 500 companies – accounting for 52 percent of the top 25 firms and 57 percent of the top 35 companies. The 43.2 percent figure is remarkably consistent with the 2010 findings – especially given that 23 percent of companies on the 2017 Fortune 500 were not on the 2010 list when the original study was undertaken. South African immigrant to the United States. 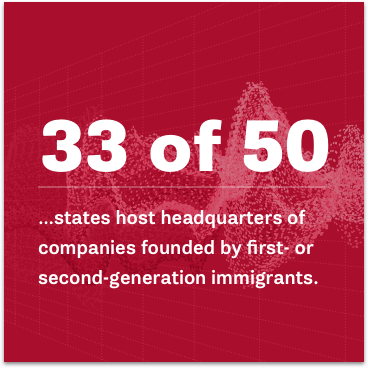 First- or second-generation immigrant-founded Fortune 500 firms are headquartered in 33 of the 50 states, across 68 metropolitan areas and 5 non-metropolitan areas. - Accounted for $5.3 trillion in global revenue in 2016. - Employed 12.8 million people worldwide in 2016. The term "immigrant-founded" refers to first- or second-generation immigrants, and the term "first-generation" refers to U.S. immigrants born outside the United States. Immigrant-founded companies account for 20 of the top 36 Fortune 500 companies, or 0%. * Numbers based on global company statistics not in state. In Addition to Accounting for a Large Share of the Fortune 500 Firms, Companies Founded by First- or Second-Generation Immigrants are also 9 of the 13 Most Valuable Brands In The World, As Determined By Forbes Magazine. 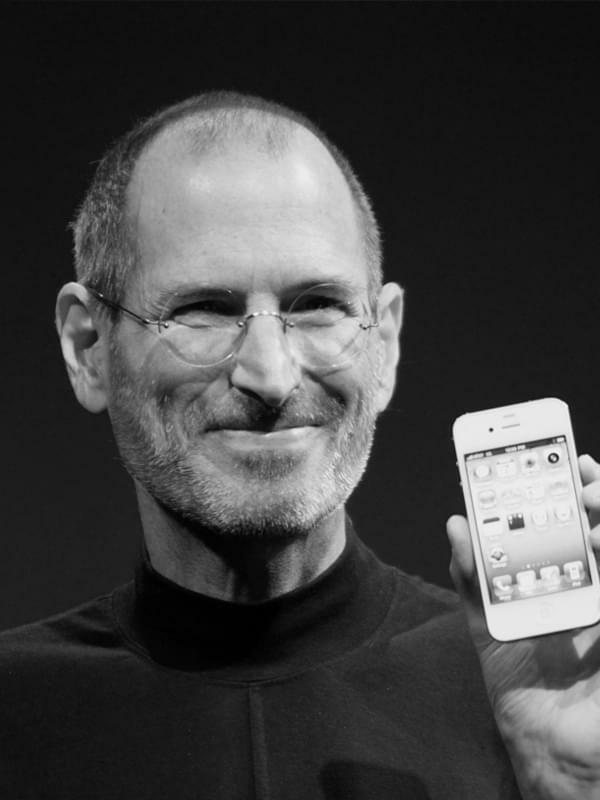 American entrepreneur, businessman, inventor, and industrial designer. Apple Inc. designs, manufactures, and markets personal computers and related personal computing and mobile communication devices along with a variety of related software, services, peripherals, and networking solutions. 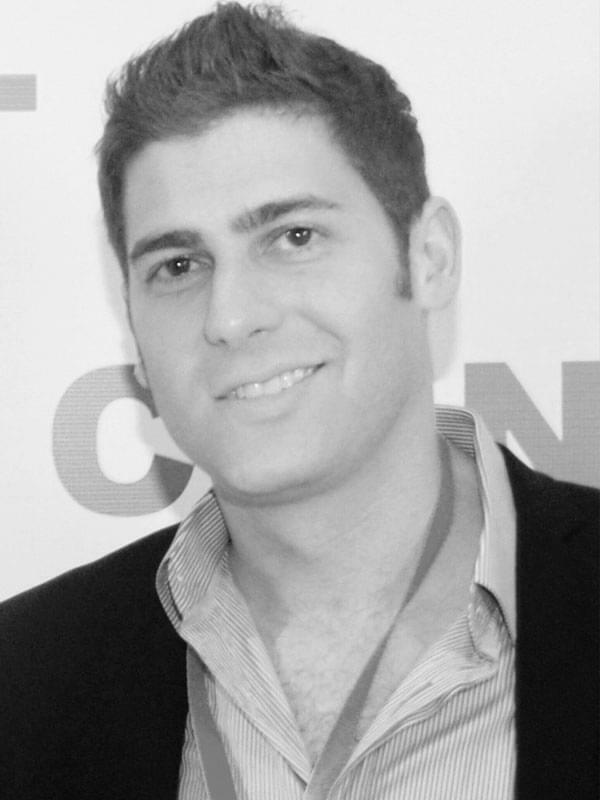 Russian-born American computer scientist and internet entrepreneur. Alphabet Inc. is a holding company. 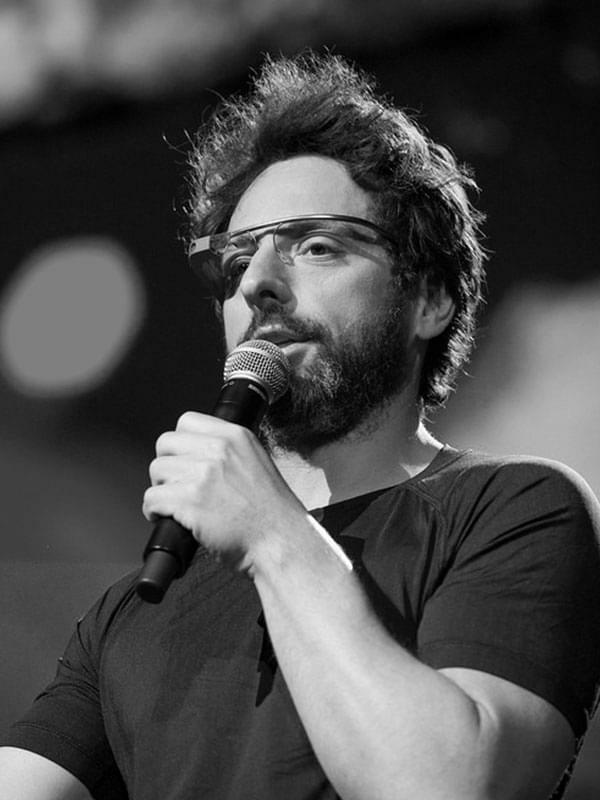 The Company's businesses include Google Inc. (Google) and its Internet products, such as Access, Calico, CapitalG, GV, Nest, Verily, Waymo and X.
Brazilian Internet entrepreneur and angel investor. Facebook, Inc. is focused on building products that enable people to connect and share through mobile devices, personal computers and other surfaces. 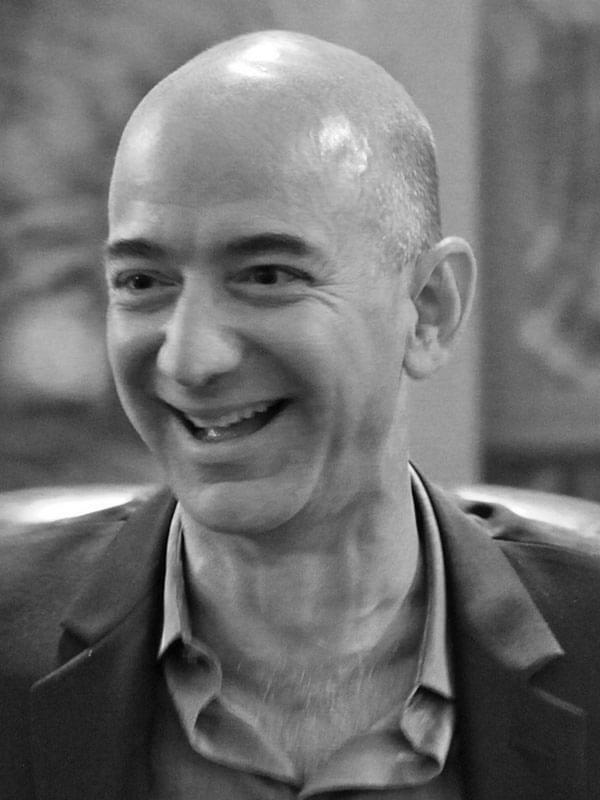 American technology and retail entrepreneur, investor, computer scientist, and philanthropist. Amazon.com, Inc. is an online retailer that offers a range of products and services through its websites. The company’s products include merchandise and content that it purchases for resale from vendors and those offered by third-party sellers. It also manufactures and sells electronic devices. 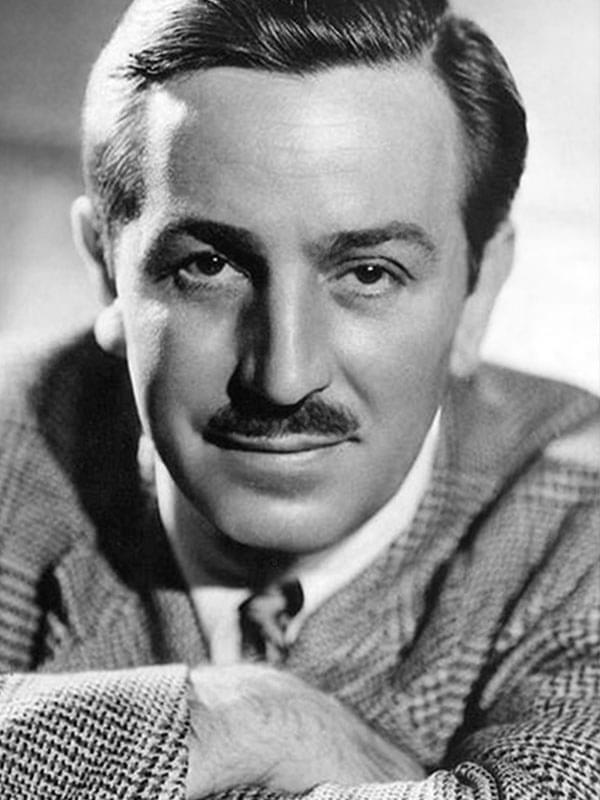 American entrepreneur, animator, voice actor and film producer. 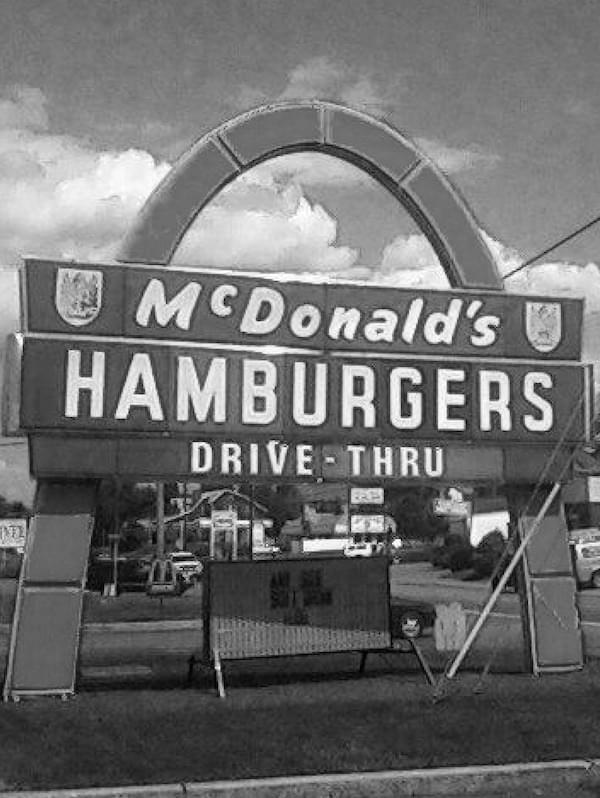 McDonald's Corporation (McDonald's) operates and franchises McDonald's restaurants. The Company's restaurants serve a locally relevant menu of food and drinks sold at various price points in over 100 countries. General Electric is a global digital industrial company. The company's products and services range from aircraft engines, power generation, and oil and gas production equipment to medical imaging, financing and industrial products. 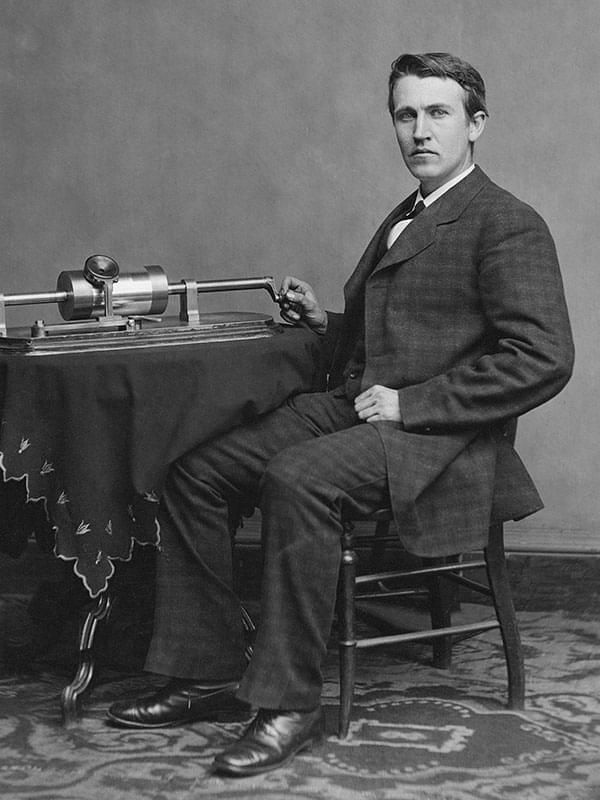 Scottish-born scientist, inventor, engineer, and innovator. AT&T Inc. is a holding company. The Company is a provider of communications and digital entertainment services in the United States and around the world. 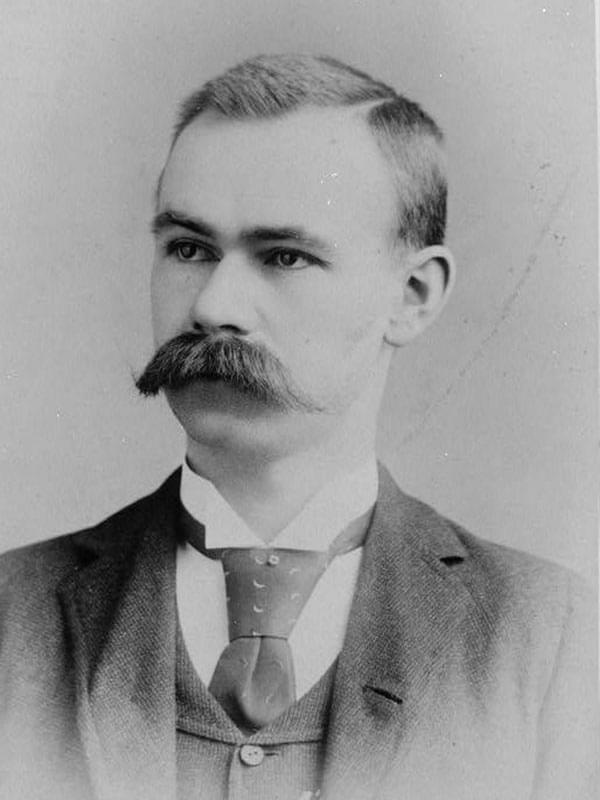 American inventor who developed an electromechanical punched card tabulator to assist in summarizing information and, later, accounting. International Business Machines Corporation (IBM) is a technology company that operates through five segments: Cognitive Solutions, Global Business Services (GBS), Technology Services & Cloud Platforms, Systems and Global Financing. Our analysis is inspired by the New American Economy’s (NAE) 2011 study: The “New American” Fortune 500, which identified companies in the 2010 Fortune 500 that were founded by at least one immigrant or the child of an immigrant. Their analysis identified 90 of the 500 companies as being founded by at least one immigrant, and another 114 founded or co-founded by the child of an immigrant. Our objective was to extend that analysis to the 2017 Fortune 500 list. To do this, we took a two-pronged approach – first, by independently identifying the founders of each company in the 2017 Fortune 500 list along with their immigration status, and, second, by systematically comparing our results with the NAE’s analysis for companies on both the 2010 and 2017 Fortune 500 lists. 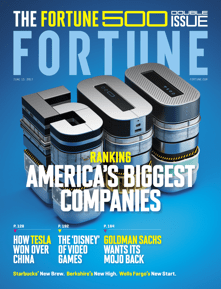 The source files for our analysis were the 2010 and 2017 Fortune 500 lists from Fortune Magazine’s data store, and the Appendix from NAE’s report. To identify company founders, their immigration status, and the status of their parents, we used a wide-sweeping approach that included: company websites and historical documentation, investor databases and company profiles, Internet reference resources, historical Census and ancestry databases, news databases, and, in the case of some companies, direct correspondence with companies or their founders. We identified a company as being founded by an immigrant or the child of an immigrant only in cases where we could definitively confirm the identify of the company founder(s) and their nativity. In cases where we encountered any uncertainty as to founder(s) or their nativity, the company was identified as not immigrant founded. This approach produces very conservative results. In dozens of cases, we were unable to identify a company founder at all. Many companies had particularly fragmented beginnings, were founded by large groups of people (cooperatives), or had otherwise murky information about company founders and their immigration status. 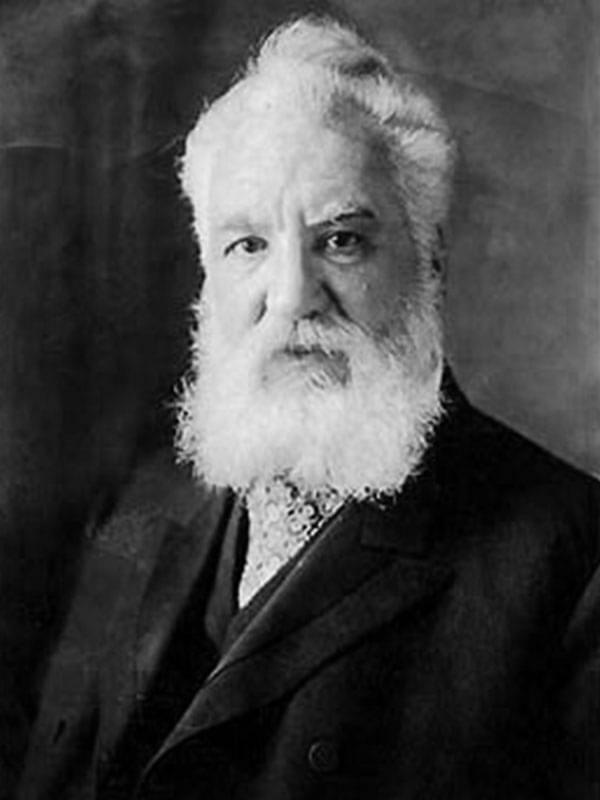 Other companies were founded by government charter and, therefore, had no individual “founder”, while others are American subsidiaries of foreign companies and, therefore, have no founder who immigrated to the United States. In each of these more than sixty cases, the companies were counted as not immigrant founded, even though that classification is unlikely to be fully accurate. Our results, therefore, represent a lower-bound estimate of the true number of Fortune 500 companies founded by a first- or second-generation immigrant. Had we been able to obtain fully reliable information regarding the origin of all Fortune 500 company founders, and if ineligible companies were removed from the analysis, our confident guess is that between 48 percent and 51 percent of eligible Fortune 500 companies would be determined to have been founded or co-founded by immigrants or the child of immigrants, compared to the 43 percent figure that our more conservative approach produces. As a robustness check of our initial results, we conducted a second analysis in which we compared our results with NAE’s 2011 work, using data for companies on both the 2010 and 2017 Fortune 500 lists. Because company names can be spelled differently in each Fortune list, and because businesses change names, headquarters locations, or any number of identifying characteristics over time, we used a matching algorithm based on multiple fields of identifiers to link companies that were on the 2010 list with companies on the 2017 list. This produced 353 matches at a statistical probability suitable to confirm the identity of the companies. Of the remaining 147 companies on the 2017 list, 34 were manually identified as being on the 2010 list (but failed to meet the statistical match because of changes in identifying characteristics, such as a name change) and 113 were entirely new. Of these new companies, 14 were spin-outs of companies on the 2010 list (and, therefore, assigned the founder and nativity status of the parent company) and 99 were new companies independent of those on the Fortune 2010 list. For the 387 companies on both the 2010 and 2017 lists, we compared our results with those of the NAE analysis. Our results differed in about 7 percent of cases. Seventeen of these cases resulted in substantive (quantitative) differences – in 3 cases, companies were included in NAE’s list as being founded by immigrants or their children that we thought should have not have been, and in 14 cases companies had been excluded from NAE’s immigrant-founded list that we determined should have been included. In nearly twenty other cases, we disagreed with certain qualitative information (name of founders, spelling of names, countries of origin, etc.) that did not result in a change in founder status.